You can put some things on a pedestal and put things off but as we tell or children when trying a new food, 'you won't know until you try it.' 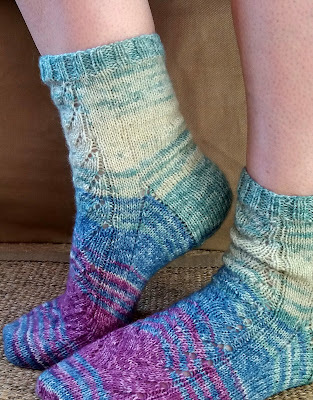 Patterned socks were like this for me. I thought they would be so hard that I put them on my New Years resolution list in order to have 12 months to build myself up to them but the truth is, they were a pleasure to knit. 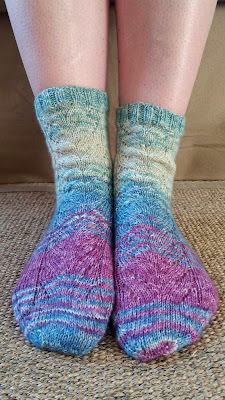 The yarn is Stylecraft Head over heels which I bought from a new wool shop in Church Stretton. I am a sucker for a chat in a yarn shop with a nice owner and so left with a ball of sock yarn. 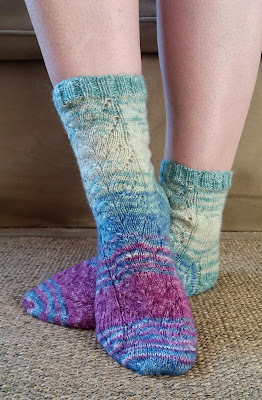 I used the October sock pattern which is free on Christina's blog A colourful life. 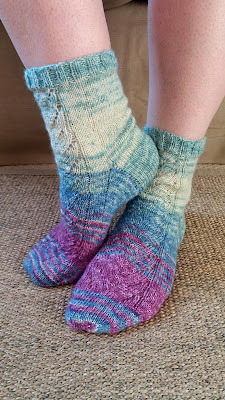 It is so well written and I found it a breeze.I did a little change on round 1 of the pattern section - I made a full wrap around of the yarn as the last stitch before the purl 1, knit 6 rather than just bringing the yarn forward. 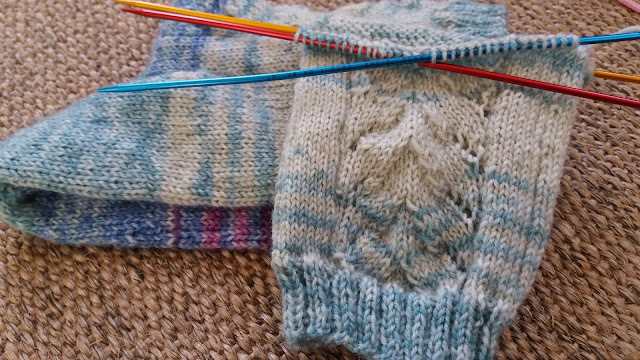 It depends on what style of knitting you do but look out for it anyway if you use this pattern and find out what works for your knitting style. 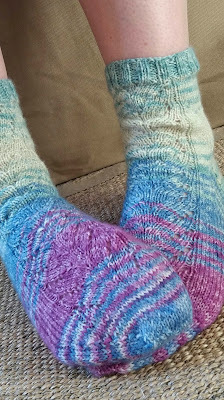 The heel is the most comfortable one I have knitted on all of the socks I have made so far. One of my crafting resolutions for 2018 already gone. Yay! 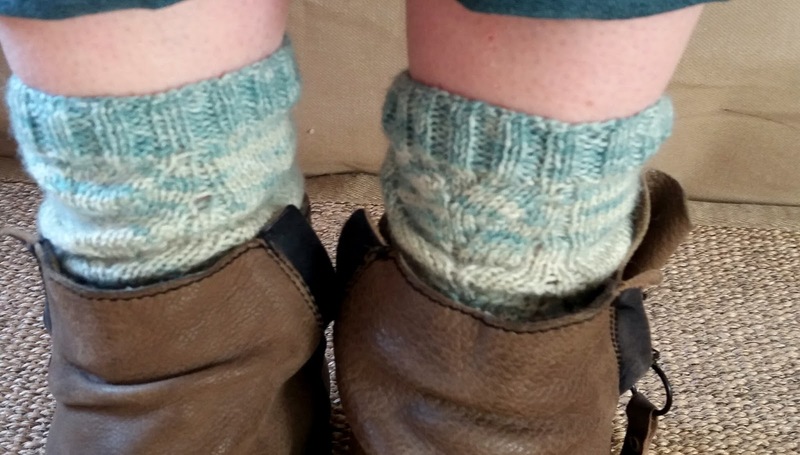 Heel flap and gusset is the most comfortable heel for me,the afterthought heel is not too bad. Lovely socks, I have been to look at the patterns and see a few pairs in my knitting list. They are a beautiful make, well done on achieving one of your resolutions so soon. I love the wool so much! They look really good. They are wonderful socks Jo. Perfect color and the pattern is beautiful. 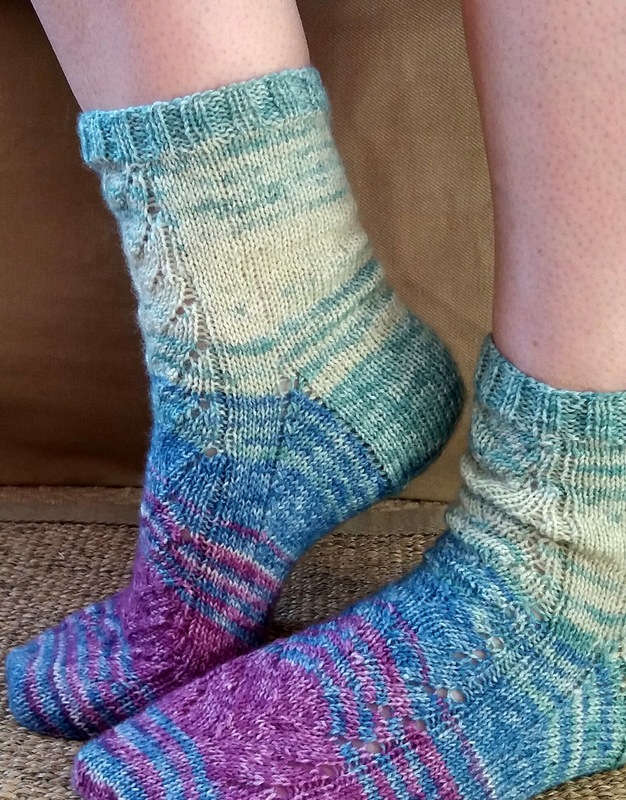 Well done on the heel. Sending you a big hug.